Systems Intelligence (SI) is a concept introduced in 2004 by the principal investigators. The research group develops the conceptual basis of this competence and studies its different forms and manifestations in personal and organizational contexts. We seek to distribute knowledge and stimulate interest in Systems Intelligence in different fields including management practices, learning organizations, education, human relationships, etc. 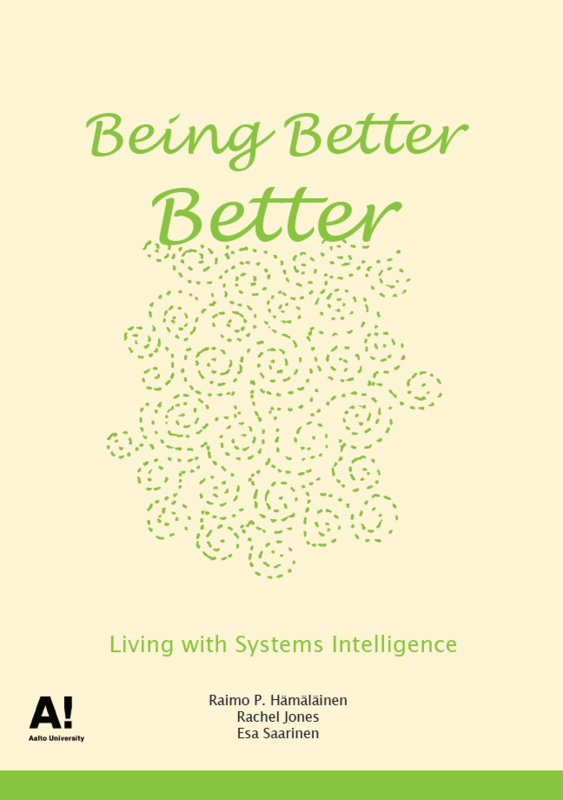 By Systems Intelligence we mean intelligent behaviour in the context of complex systems involving interaction and feedback. A subject acting with systems intelligence engages successfully and productively with the holistic feedback mechanisms of her environment. She perceives herself as part of the whole, the influence of the whole upon herself as well as her own influence upon the whole. Observing her own interdependency with the feedback-intensive environment, she is able to act intelligently. We have also developed a test for self-evaluation. You can take the SI-test here. If you want to use the SI-test in your own projects you can find related material and instructions here. 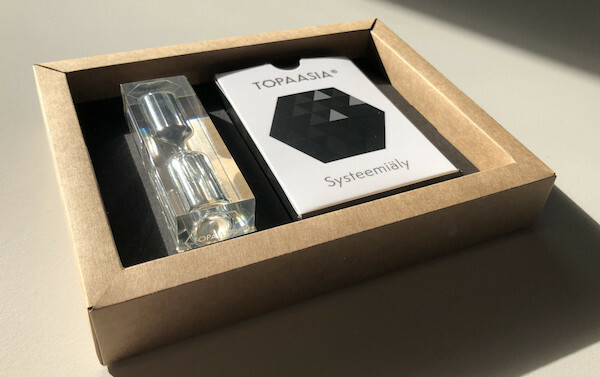 » Systems Intelligence: Connecting Engineering Thinking with Human Sensitivity, Esa Saarinen and Raimo P. Hämäläinen 2004. 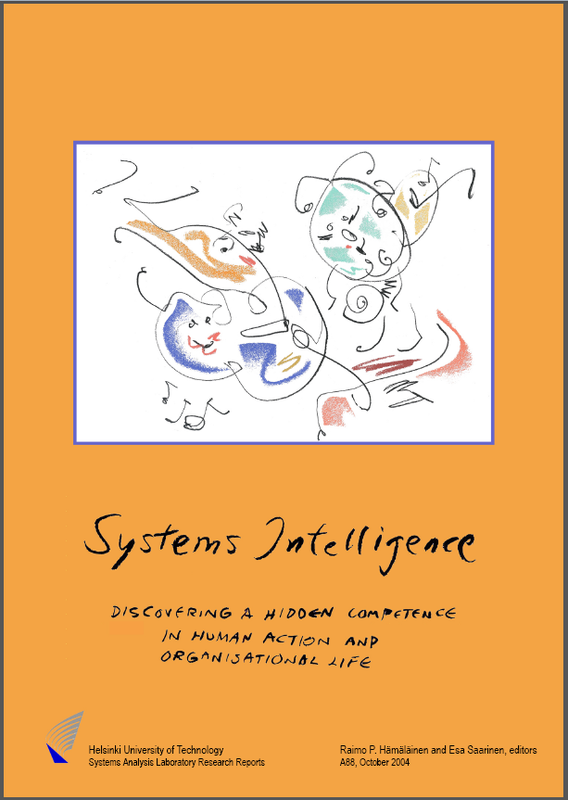 In Systems Intelligence - Discovering a Hidden Competence in Human Action and Organizational Life, Helsinki University of Technology, Systems Analysis Laboratory, Research Reports A88, p 9-37. Raimo P. Hämäläinen, Rachel Jones and Esa Saarinen 2014. Aalto University Publications, CROSSOVER 4/2014. » Inducing Mindfulness Through Life-Philosophical Lecturing, Esa Saarinen and Tuuli Lehti 2014. In The Wiley Blackwell Handbook of Mindfulness, p 1105-1131. » On the importance of behavioral operations research: The case of understanding and communicating about dynamic systems, Raimo P. Hämäläinen, Jukka Luoma and Esa Saarinen 2013. In European Journal of Operational Research, Vol. 228, Issue 3, p 623-634. » Esa Saarinen and Systems Intelligence, Rachel Jones and Raimo P. Hämäläinen 2013. In Elämän filosofi, p 163-171. 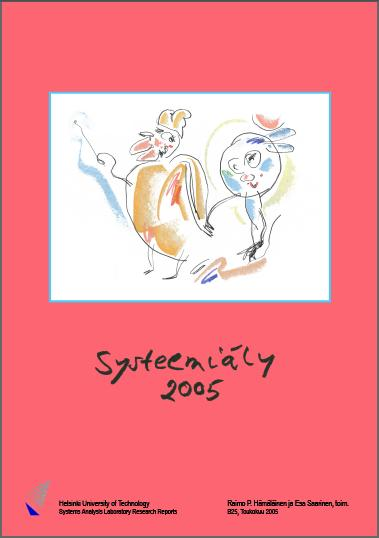 » Elämän filosofi, Frank Martela, Lauri Järvilehto, Peter Kenttä & Jaakko Korhonen (eds.) 2013. 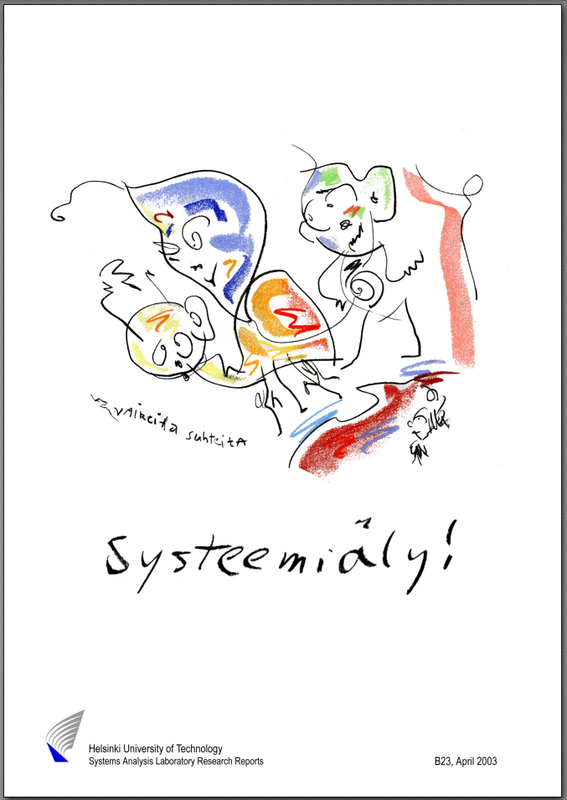 » The Systems Metaphor in Therapy Discourse: Introducing Systems Intelligence, Frank Martela and Esa Saarinen 2013. In Psychoanalytic Dialogues, 23, p 79-100. » Stages and Dimensions of Systems Intelligence, Rachel Jones and Jim Corner 2012. In Systems Research and Behavioral Science, Vol. 29, p 30-45. 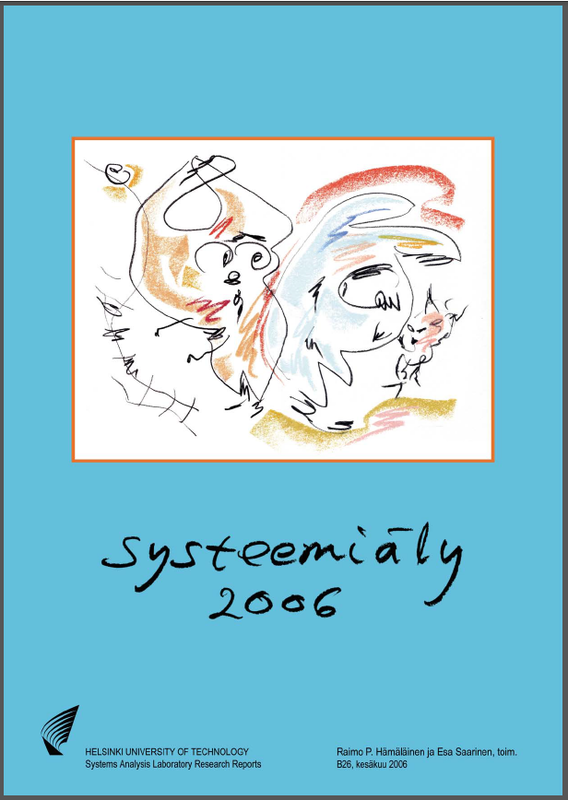 » The Originality of Systems Intelligence, Esa Saarinen and Raimo P. Hämäläinen 2010. In Essays on Systems Intelligence, p 9-26. » Systems intelligence - the way forward? 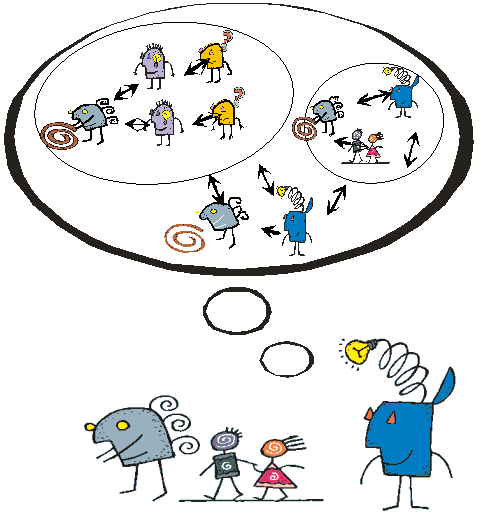 A note on Ackoff's 'why few organizations adopt systems thinking', Raimo P. Hämäläinen and Esa Saarinen 2008. In Systems Research and Behavioral Science, Volume 25, Issue 6, p 821-825. » Perspectives on team dynamics: Meta learning and systems intelligence, Jukka Luoma, Raimo P. Hämäläinen and Esa Saarinen 2008. In Systems Research and Behavioral Science, Volume 25, Issue 6, p 757-767. » Philosophy in the 21st Century: Socratic Philosophy That Matters and Engages With People, Esa Saarinen 2008. International Academy of Philosophy, News and Views, no. 20. 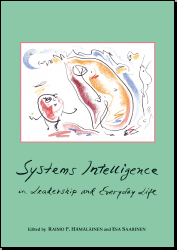 » Systems Intelligent Leadership, Raimo P. Hämäläinen and Esa Saarinen 2007. In Systems Intelligence in Leadership and Everyday Life, p 3-38. » The Way Forward with Systems Intelligence, Raimo P. Hämäläinen and Esa Saarinen 2007. In Systems Intelligence in Leadership and Everyday Life, p 295-305. » Systems Intelligence: Connecting Engineering Thinking with Human Sensitivity, Esa Saarinen and Raimo P. Hämäläinen 2004. In Systems Intelligence, p 9-37.